If there&apos;s one thing we&apos;ve been clamouring for over the last few years ("we" meaning "at least one of us"), it&apos;s a direct sequel to Pokémon Snap. The 3DS seemed like a perfect opportunity with its camera functionality, but nothing, and the Wii U&apos;s GamePad seemed even more suited as you&apos;d be able to line it up with the TV, but nope. We&apos;d argue that it&apos;d be just as great on Switch, or even as a mobile game, but it just isn&apos;t happening, is it? Well, Niantic is now offering the next best thing with its world-dominating Pokémon GO. 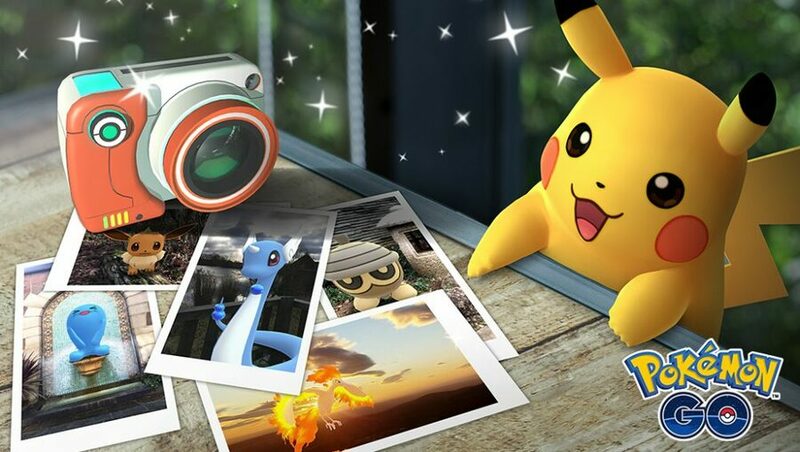 A new feature called GO Snapshot is on the way to the game, giving players a much more robust photo system using the game&apos;s AR+ feature. Billed as an easy way to take photos of any of your Pokémon, the new option will become available when looking at a Pokémon or when accessing the camera in your bag. "It’s simple to use. Select a Pokémon and tap on the screen to throw its Poké Ball to that spot. Once your Pokémon is situated in the ideal spot, you can then move around it to find the best angle for your photo. Is your Pokémon distracted or looking the wrong way? Brush across it to get its attention, and it will be sure to face you. Take as many photos as you like during your session. Once you’re finished, all photos are saved to your device automatically! It’s also easier than ever to share your favorite photo via social media. Just select the linked social channel you want to share with, and you can show your friends your masterpiece with a couple of quick taps." Will you be using the feature? Would you be up for a Pokémon Snap feature, too? Please tell us we&apos;re not alone in the comments. Published on Tue, 12 Feb 2019 15:45:00 GMT, © All rights reserved by the publisher.